The Sheriff’s Main Office, 300 Fair Lane, Placerville, Ca. The Sheriff’s El Dorado Hills Sub Station, 4354 Towne Center Dr., El Dorado Hills, Ca. The Sheriff’s Georgetown Sub Station, 6101 Front Street, Suite 4, Georgetown, Ca. Safeway Parking Lot, 1020 Johnson Blvd, South Lake Tahoe, Ca. The Prescription Drug Take Back service is free and anonymous, no questions asked. Place containers that have liquid in them inside a closed zip lock baggie. Remember to black out personal information on the containers, such as the patient’s name. Last May DEA announced that, Americans turned in 390 tons (over 780,158 pounds) of prescription drugs at over 6,072 sites operated by thousands of state and local law enforcement partners with DEA during last Aprils National Take Back Day. 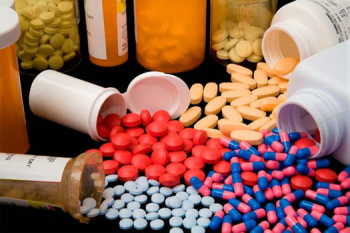 When those results are combined with what was collected in the seven previous Take Back events, over 4.1 million pounds—more than 2,123 tons—of prescription medications have been removed from circulation, nationwide. This initiative addresses a vital public safety and public health issue. Medicines that languish in home cabinets are highly susceptible to diversion, misuse, and abuse. Rates of prescription drug abuse in the U.S. are alarmingly high, as are the number of accidental poisonings and overdoses due to these drugs. Studies show that a majority of abused prescription drugs are obtained from family and friends, including from the home medicine cabinet. In addition, Americans are now advised that their usual methods for disposing of unused medicines—flushing them down the toilet or throwing them in the trash—pose potential safety and health hazards. ■ Unused or expired prescription medications are a public safety issue, leading to accidental poisoning, overdose, and abuse. ■ Pharmaceutical drugs can be just as dangerous as street drugs when taken without a prescription or a doctor’s supervision. ■ The non-medical use of prescription drugs ranks second only to marijuana as the most common form of drug abuse in America. ■ The majority of teenagers abusing prescription drugs get them from family and friends – and the home medicine cabinet. ■ Unused prescription drugs thrown in the trash can be retrieved and abused or illegally sold. 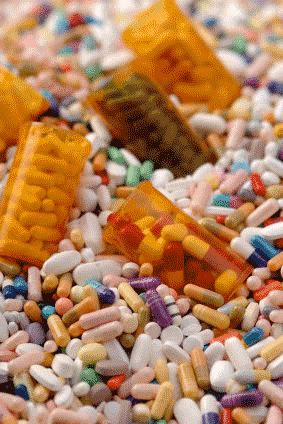 Unused drugs that are flushed contaminate the water supply. Proper disposal of unused drugs saves lives and protects the environment. Take the meds out of their bottles. Mix them with something unappealing, (like used kitty litter or coffee grounds). Seal them in a bag or disposable container, and throw that away. Help protect our community. Bring your unwanted prescription drugs to one of our drop off locations.